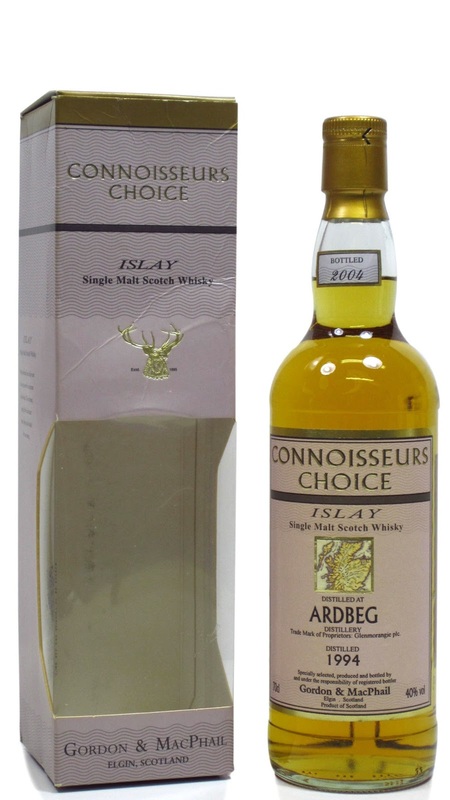 This is a 1994 vintage from Gordon & MacPhail’s “Connoisseurs Choice” series. A mix of first fill Sherry butts and refill American hogsheads. Smoked meat, hay and burned oak in the smell. Vanilla and raisins as well. Peat and coal in the taste. And hay again – a lot of hay! A bit dry. The sweetness comes forward in the finish. Marzipan and vanilla in particular, and it lingers beautifully out. It dies a little too fast in my opinion, but lovely with the sweetness. A very pleasant dram, but too weak for my taste (you don´t get that ‘UMF’ you normally get in an Ardbeg), and the finish dies too fast. It is still good all the way through, but just lacks in complexity and richness. It is definitely living up to its full potential! I will give this 84/100 (21/21/21/21).